Using the template above cut out your card base. 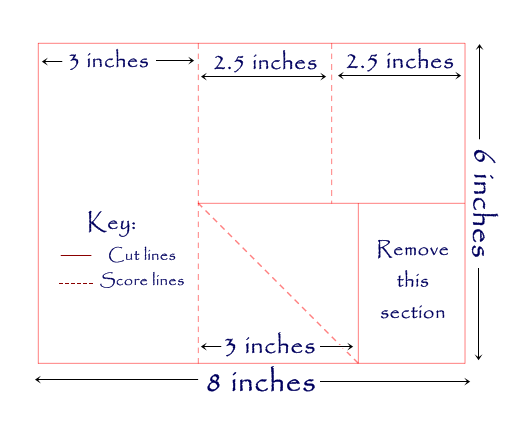 Also cut out a 3 x 4 inch rectangular piece. Fold on the score lines so your card base looks like the one above. Attach the rectangular piece to the front of the left had side to create the larger easel. Cut patterned paper to fit the 3 card faces and mat with a complementary coloured cardstock. Before attaching the panels to the easels I die cut, trimmed and attached teal pieces of the small lacy border to the outer edges. I trimmed off the bottom edge so the cut is not as noticeable. Add pearls to the base of each scallop. Cut one teal stitched circle (second largest die) and one white stitched circle (third largest die) and glue together. 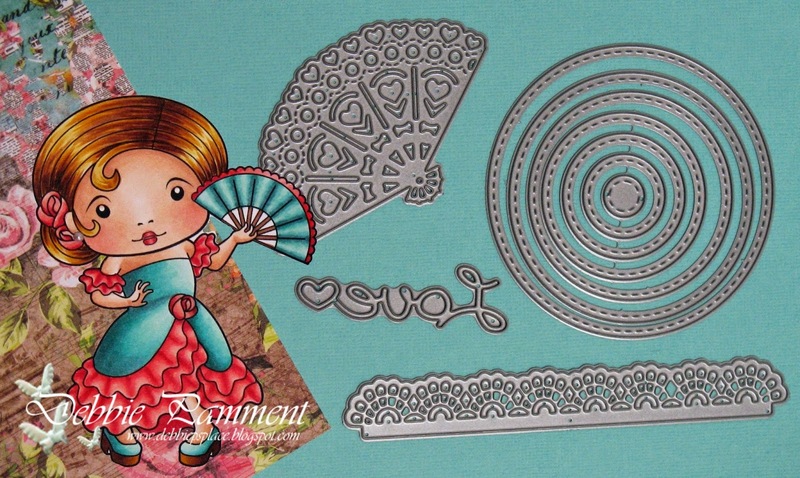 Die cut one teal heart fan and attach to the circles. Die cut one white heart fan and gently mountain fold to give it some more texture. Attach to the top of the teal fan. Glue some flowers to the base. Attach this to the triangular section of your easel. Using 3D foam pads attach Marci to the rectangular easel. Use extra pearls on the card base to hold your easels in place. Attach a strip of lace and a large flower to the card base. Die cut 3 teal "Love" words and layer together. Top with a white die cut "Love" and attach to card base. Cut the heart out in red and glue it in place. I hope you have enjoyed this tutorial and we would love to see your creations using this tutorial if you make any! That's gorgeous are really creative!